The concept of paint-ception is something that has been around for a while. There are numerous examples of famous classical painters who included themselves in paintings of themselves painting themselves – if that makes any sense? Anyway, in recent years, paint-ception has become somewhat of a stylistic format that artists use for creative purposes or, in the case of Cindi Decker – purely for fun! Decker is someone who considers herself to be a regular, stay at home mom. From Jacksonville, Florida, she spends most of her time raising her kids, keeping the house tidy, cooking and being creative. In many ways, it’s an idyllic lifestyle but in order to make sure that the boredom of being a stay-at-home mom doesn’t get to her, Decker decided to take an art class with a friend of hers. She doesn’t really consider herself much of an artist, but valiantly laid brush to the canvas during the class and managed to create something quite nice for a first-time attempt! 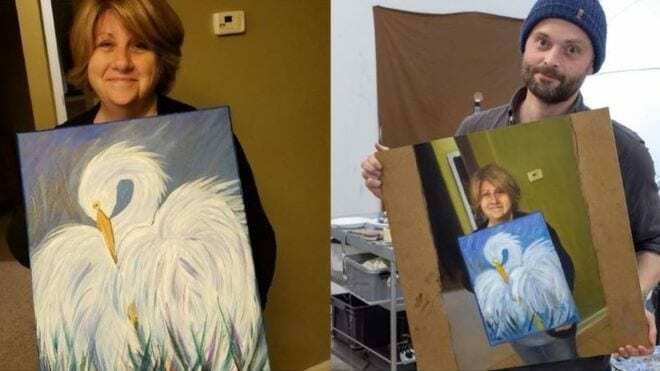 After finishing a painting that she calls ‘Swan’, her son decided to post a picture of it on Reddit. Little did he know that he would be starting a massive online trend by doing so! After the picture was uploaded, a Swedish artist named Kristoffer Zetterstrand stumbled upon it and thought it was cute. He then decided to paint a picture of Decker holding up her picture. His rendition was well done and began to receive a lot of attention. 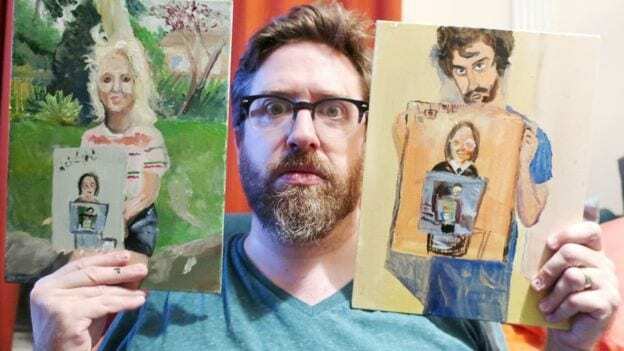 Once other artists realized what he was attempting to do, they started submitting their pictures of him holding the painting of Decker holding her painting and so on. 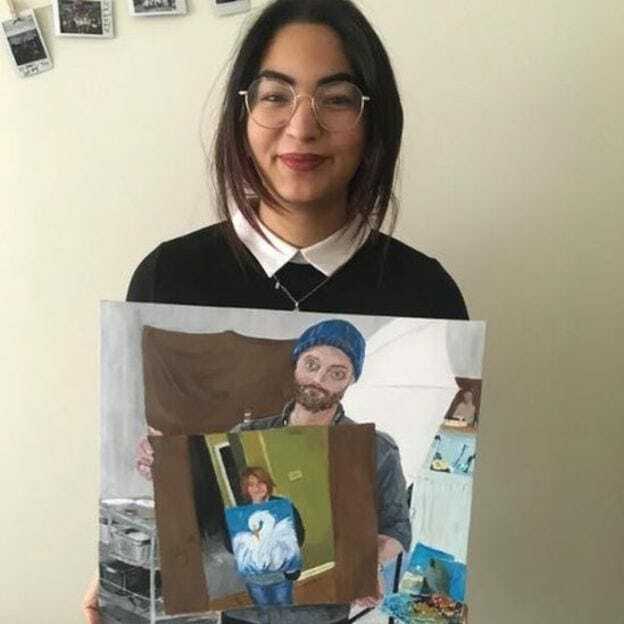 In next to no time, the post had over 75,000 upvotes and lots of artists from around the world were submitting paintings in a perpetual chain of the artist, with a painting of an artist with painting and so on! In total, all the posts related to the picture have racked up nearly half a million upvotes – making Cindi Decker one of the most famous ordinary moms on Reddit!